Know CFHS Class of 1971 graduates that are NOT on this List? Help us Update the 1971 Class List by adding missing names. We're having a 40th Class Reunion on August 20, 2011 at Samira's on the Riverfront (formerly LaFever's). Go to *****@gmail.com and leave your name, cell #, e-mail & address so you can get an invitation. This should be a blast!! The reunion committee has begun planning for our 45th reunion next year. Our date will be Sat. July 23, 2016, at The Office 1846 Front St, Cuy. Falls. Very much in the early stages so we don't have a menu or pricing established but we'd like to get an feel for how many think they will attend. Pls reply to Sally Jordan Flynn or Arlene Jiamboi's Facebook page. Thanks so much! It will be another great party! or contact me at *****@aol.com. Hope to see you there! More 1971 alumni from Cuyahoga Falls HS have posted profiles on Classmates.com®. Click here to register for free at Classmates.com® and view other 1971 alumni. 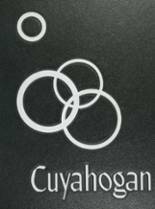 If you are trying to find people that graduated in '71 at Cuyahoga Falls High in Cuyahoga Falls, OH, check the alumni list below that shows the class of 1971.